Blue eyes have historically been a significant measure of attractiveness, and although they’re commonly found among actors and models, only 17% of the global population has them. 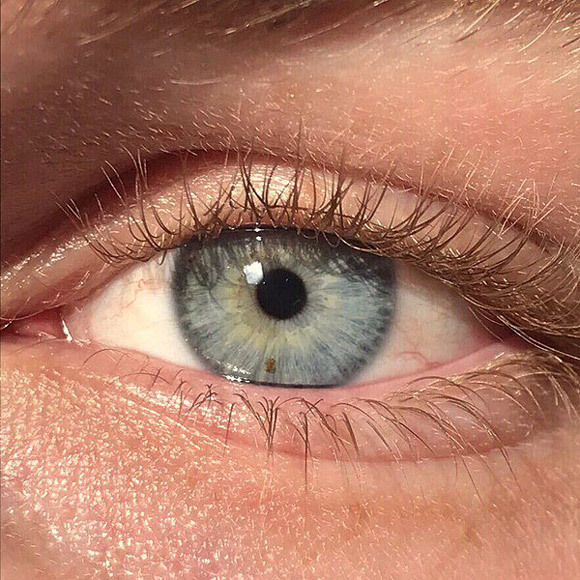 For the majority of people, approximately 80% of the population, blue eyes have been attainable only with the aid of colored contact lenses or artificial iris implants. But that will soon change with the introduction of a new medical procedure, pioneered by California company Stroma Medical, that can turn brown eyes blue. The laser procedure works by eliminating the melanin from the surface of the iris, which then allows light to enter and scatter in the stroma. The effect is similar to Rayleigh scattering, in which wavelengths of sunlight hit much smaller molecules in the air and then scatter, which makes the atmosphere appear blue. The laser treatment disrupts the fragile layer of pigment on the iris, which causes the body to start removing the tissue naturally. While the procedure itself only takes around 20 seconds, the blue eyes do not emerge for several weeks, as the body can only gradually release the pigment. The medical industry, ophthalmologists in particular, has not been particularly receptive to the procedure. The skepticism is based on the fact that eyes are one of the most sensitive organs in the human body, and that the procedure is irreversible. 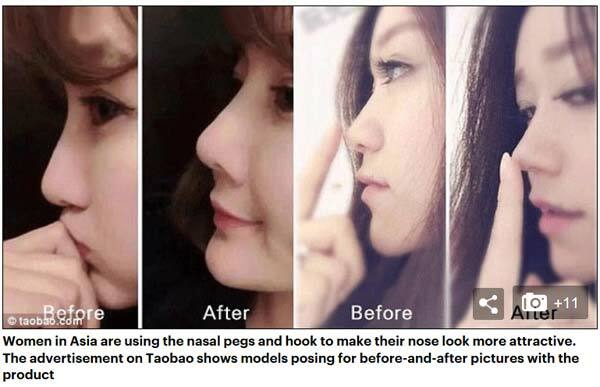 Women in East Asia are putting tiny pegs into their nostrils so their nose could look more European. The beauty trend apparently started from South Korea about two years ago and has spread to Japan, Chinese mainland and Taiwan, where women with a pointier European nose are considered more attractive. 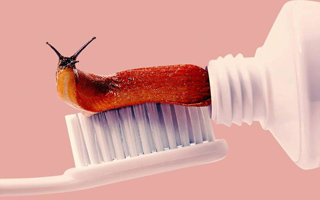 The beauty trend, however, has sparked serious health concerns. In a recent case from China, a woman reportedly swallowed a peg by accident and the small item was later found in her stomach. The non-surgical nose-lifting trend apparently involves a set of tools which are popular on shopping websites in East and South-east Asia. A typical set consists of two small curved pegs, measuring two to three centimetres long, as well as one adjusting hook. According to the instructions online, users should first insert the two pegs into their nostrils respectively. 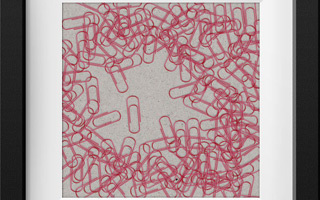 The pegs are said to be made with silicone. Then they should use the hook to adjust the pegs so they stand in a 45-degree angle inside the nose. Although the nasal pegs are popular among beauty-conscious females, they have also brought health issues to the customers. Last November, a 25-year-old woman in Taipei nearly lost her nose after a peg poked through her nasal membrane and caused a bacterial infection, according to Apple Daily. 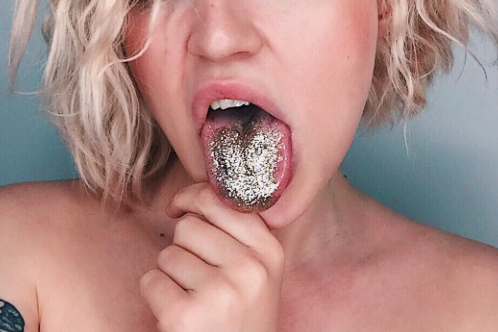 Australian make-up artist Jacinta Vukovic accidentally instigated the glitter tongue when some sparkles mistakenly ended up on her tongue during the creation of a dazzling lip look. "I thought I would embrace it and make it the main focus," she wrote on Instagram. Since then, the trend has gone viral with fellow make-up artists and glitter enthusiasts attempting to recreate the glitzy mouth look. While it all sounds like a bit of harmless fun, concerns are growing that the trend could be causing health problems. Although swallowing small amounts of glitter won't kill you, it can cause problems with digestion, trigger stomach aches and even blockages. On a larger scale, glitter is also bad for the environment. It's made up of micro plastics which can leech chemicals and harbor dangerous bacteria that gets into our water and food supply. 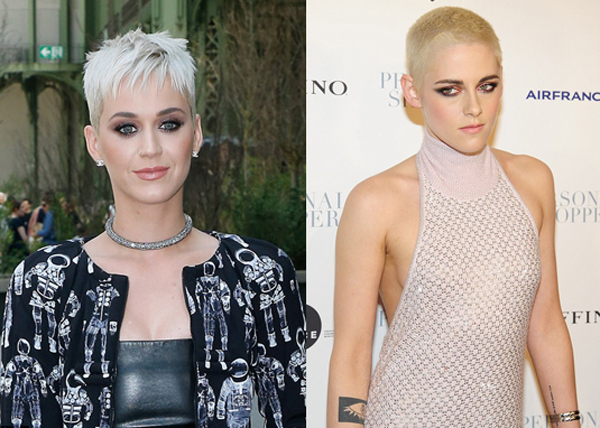 Leading ladies from Cara Delevingne to Kristen Stewart and Katy Perry are forgoing their tumbling tresses in favor of peroxide blonde pixie cuts, and experts say we should all be flocking to the salon to try it for ourselves. And while the edgy look certainly isn't one for the fainthearted, celebrity stylist Jason Collier insists 'anyone' can pull it off - whatever their age. Collier, who is personal stylist to Victoria Beckham, notes that you don't have to go full buzz cut - like Cara and Kristen - if you're not feeling daring enough. Stars including Zoë Kravitz and Michelle Williams have instead opted for a sophisticated, icy blonde pixie crop. But it's not just the length you need to worry about, warns Collier; drastically changing your hair color requires care and planning. These aren’t your mom’s temporary tattoos, and in the last six years, Tattly has grown from just 15 designs to include thousands (ranging from dainty to daring) on their website by artists from across the globe. Tattly’s most recent design features an accompanying fragrance. 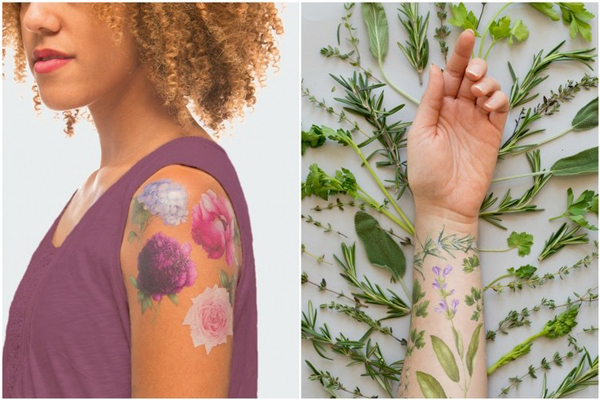 There are several tats to choose from — including blue hydrangeas and pink and purple peonies, each with their own, unique scent. Tattly is currently the only temporary tat on the market with a fragrance component. However, this is the second version of the scented tattoo between Tattly and Vincent. Their first ink collaboration featured the same beautiful water color images by the artist, but depicted herbs with an equally delicious scent. 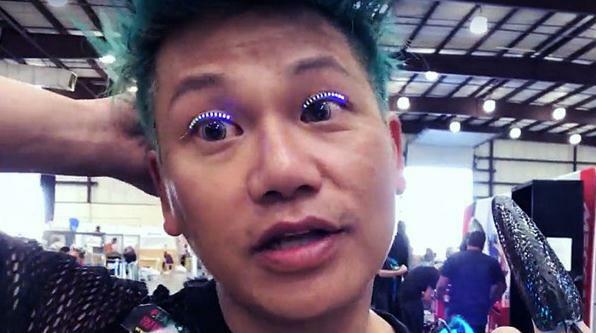 Unveiled at the Maker Faire in California, designer Tien Pham from Sweden demonstrated the lashes and their many modes. Aside from coming in an array of colour ways – think pink, red, blue, white, yellow and green – they also come in ‘sparkle’ mode which makes the lashes twinkle and ‘dance’ mode where they flash erratically. Powered by a watch battery that attaches to the back of your head using hair clips, the lashes are completely reusable and can be applied to your natural set using eyelash glue. Despite the brightness, he also insists that they are completely safe to wear, sweat-proof and do not emit any heat. Stella Sironen, a 19-year-old makeup artist and her friend, Leevi Ikäheimo, came up with the idea by accident one lazy Sunday while Ikäheimo was brushing out Sironen's eyebrows. “Suddenly he busted out laughing,” Sironen told the Huffington Post. 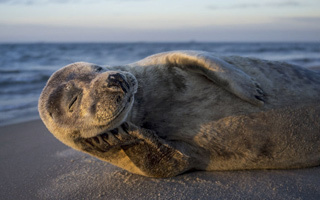 Curious, Sironen took a gander at herself on her phone's camera and totally got it. Sironen thought the look was so funny, that the next day she took a glue stick to her brows and decided to part them again. She paired the feathered follicles with some eye-catching blue mascara and posted a picture of the creation to Instagram. 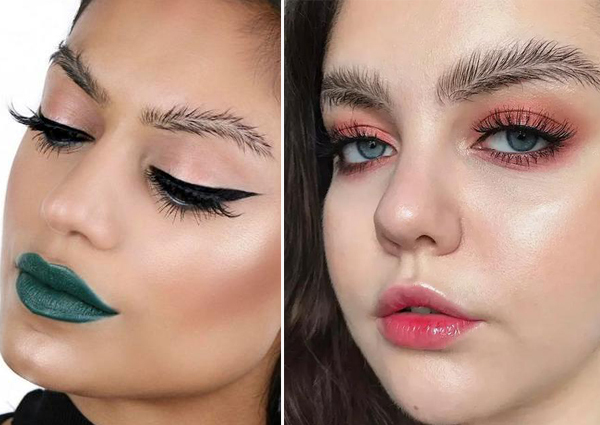 The post soon went viral, receiving over 45,000 likes and the hashtag #featherbrows was born. The bold brow also ended up being pretty polarizing, tearing the online beauty community into two firm camps: Team YAS I Shall Recreate This Look and Team Ick, No Those Are The Stuff Of Nightmares. For most people, Vincent Van Gogh's The Starry Night or Hokusai's The Great Wave off Kanagawa evoke famous paintings on display in museums or tucked away in private collections. For London-based makeup artist Stefania Atupe, they're the direct inspirations for some of her best looks on Instagram. According to Mashable, Stefania got the idea to recreate some of her favorite works on her eyelids after playing around with animal-print eye makeup. 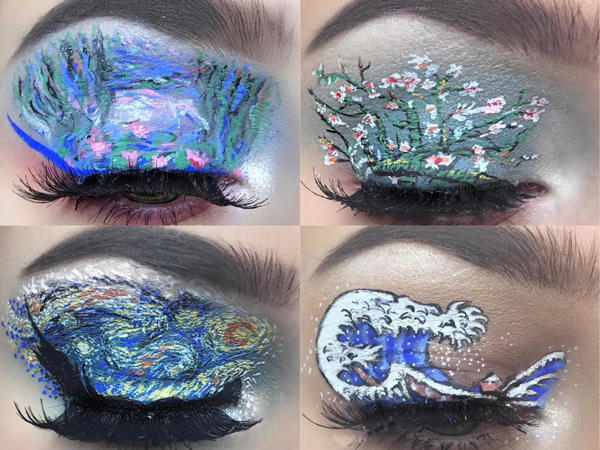 "When I posted the peacock design onto twitter, a girl actually messaged me and said that it reminded her of a Van Gogh piece, and since I absolutely love Van Gogh I decided I would try out Starry Night," she told Mashable. "I then just sat down and spent a good hour and a half just recreating the look, slowly outlining it and developing the colours!" It's hardly five-minute makeup, but the results were definitely worth all that time and painstaking effort. Stefania used a combination of Nyx eyeliners and Anastasia Beverly Hills eyeshadows to create the jaw-dropping looks. So far, she's stuck to paintings by Van Gogh and Hokusai, but we already can't wait to see what she creates next. Check out her most recent examples below!